Camlock Gasket Supplier in USA - SSP Manufacturing, Inc.
Camlock gaskets are one of the popular types of sanitation gaskets provided by the SSP Manufacturing, Inc. These gaskets are used with cam and grooves in various sanitation-centric industries. We can provide these gaskets at the shortest turnaround times, and various material constructions to suit your requirements. Buna N: This is one of the most widely used materials in pharmaceutical and food industries. Buna material is well-known for its compression qualities, and is available at extremely affordable prices. This material is not suitable for other industrial applications due to its temperature limitations. Our Buna gaskets meet USDA, 3A®, FDA Title 21 CFR 177.2600, and cGMP specifications, and can withstand temperatures between -30° F to 250° F.
EPDM: This material offers excellent weather, ozone, as well as heat resistance. Our EPDM gaskets can easily resist ordinary diluted acids, ketones, and alkalies. EPDM material has distinct ability to resist sunlight, ozone, as well as heat, which makes it ideal for several outdoor installations too. SSP Manufacturing’s EPDM gaskets meet - FDA Title 21 CFR 177.2600, USDA, 3A® and cGMP specifications. 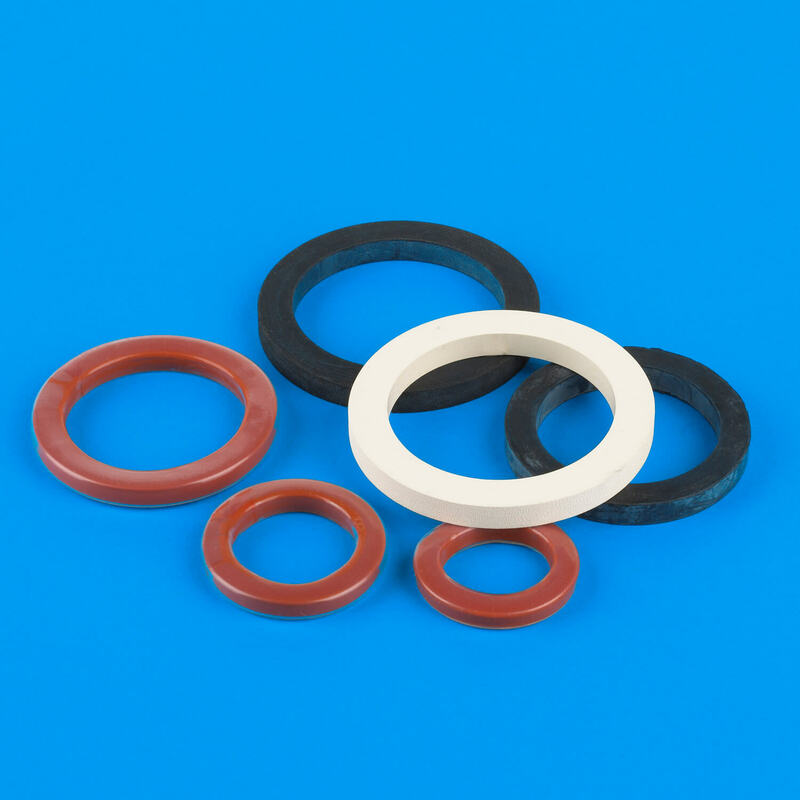 The temperature range for these gaskets is -20° F to 300° F.
FEP Encapsulated: These gaskets combine the best of both – elastomer and FEP bv being resilient, and offering excellent chemical resistance too. These properties make FEP encapsulated gaskets one of the excellent sealing materials.